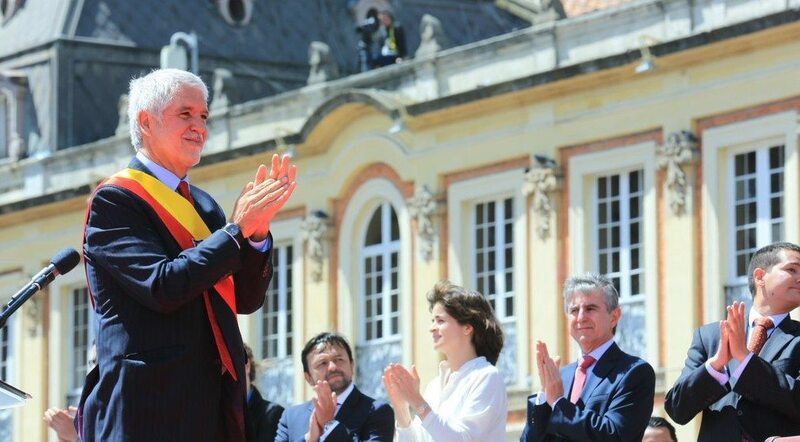 Enrique Peñalosa Londoño stepped into a familiar role when he was sworn in as mayor of Bogotá Friday in a ceremony that began at 11:30 a.m. In some ways, the city he now leads as Colombia’s second-highest elected official has changed dramatically since his first term as mayor ended in 2001. In others it looks remarkably similar. Security and transportation — the two major themes of Peñalosa’s campaign — have improved somewhat since he left office 15 years ago. But persistently high rates of muggings and petty theft have kept public perception of security low, and traffic too often stalls in gridlock across a city of more than 8 million people. Only 27 percent of Bogotanos believe the city is headed in the right direction, according to a 2015 survey by Bogotá Como Vamos, a polling organization. Perhaps most notably, Peñalosa stands to become Bogotá’s first mayor in the post-conflict era if a peace process between the Colombian government and the Revolutionary Armed Forces of Colombia (FARC), the world’s oldest active guerrilla army, is successful. 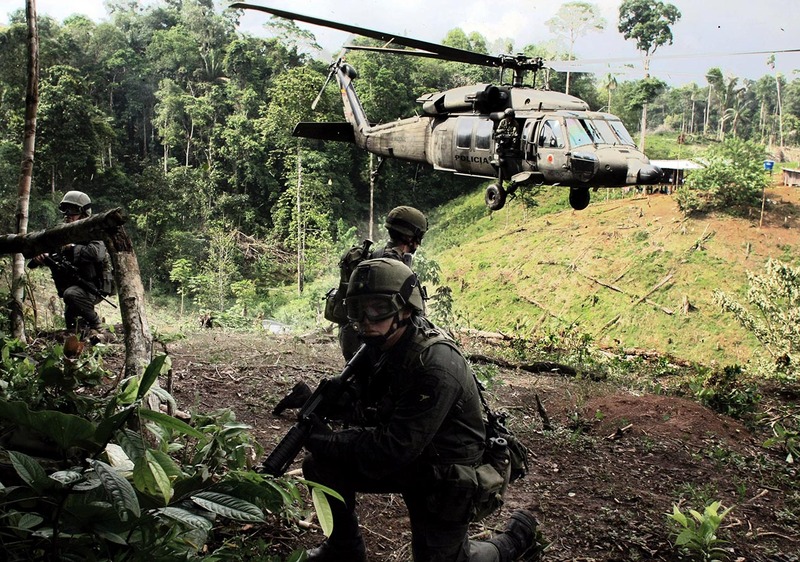 Colombia’s President Juan Manuel Santos announced in September that he hoped to reach a final agreement with the FARC by March. “This is the year of peace, and you, as mayor will be charged with consolidating it in this city,” said Santos during the swearing in ceremony. A peaceful end to the nation’s five decades of civil conflict would offer unprecedented opportunities — and challenges — for the leader of Colombia’s largest city and economic center. But at least in the short term, Peñalosa seems prepared to tackle more manageable, tangible issues that he argues will significantly improve quality of life in Bogotá. Immediately intervene in 750 crime hot spots by increasing police presence, adding lighting and cleaning up trash and graffiti. Recuperate 100 parks with high rates of crime and drug sales to take them back from gangs and criminals. Identify, and hopefully capture, the 10 most dangerous cellphone robbery gangs through a joint effort between the police and the Attorney General’s office. Bring together the mayors of the 20 largest cities to push legal reforms that will ensure that criminals go to prison. Create a special police search team to break up gangs that sell drugs to minors near schools. Fill in potholes, with a priority for corridors where Integrated Public Transportation System (SITP) buses circulate. Provide weekly updates. Improve scheduling of TransMilenio routes to decrease wait times and improve travel times by 15 percent. Improve mobility at 50 critical intersections by creating a Security and Control Center and anti-gridlock squadrons. Remove illegally parked cars and fine their owners. Paint pedestrian crosswalks to reduce accidents by 25 percent. In terms of transportation, Mayor Peñalosa is considered by many to be an international authority, having worked with dozens of cities around the globe on issues related to public transit and mobility. His first term as mayor of Bogotá was marked by major reforms in public transportation, the creation of hundreds of kilometers of bike and pedestrian paths and a crackdown on illegal parking on sidewalks. But rather than simply focusing on moving people around Bogotá more quickly and efficiently, Peñalosa prefers to tackle transportation as a social cause. “We want a Bogotá in which citizens prefer parks, sidewalks and other public spaces over shopping centers; city and society in which those who have cars prefer to use public transportation and bicycles for their daily mobility,” he said at his swearing in ceremony. That concept led to the creation of what is perhaps the most visible achievement of Peñalosa’s first term — the TransMilenio bus rapid transit system. Since they started circulating late in 2000, TransMilenio’s bright red articulated buses have become iconic, instantly recognizable symbols of Colombia’s capital city. The system, which is one of the largest of its kind in the world, moves more than 2 million people around Bogotá every day. But its popularity has also been a burden. Routes are congested, lines are long, wait times can stretch well over 15 or 20 minutes, particularly in peak hours. And the $1,800 peso fare has been criticized as excessive for the city’s poorer residents. TransMilenio was Bogotá’s most widely used mode of transportation in 2014, according to a poll from Bogotá Como Vamos. But it was also the least popular. Just 15 percent of poll respondents said they were satisfied with the service. Peñalosa hopes to change that. Almost immediately after winning the election in October, Peñalosa hopped on one of the red buses to find out in person just what needs to be done to fix the mass transit system to which he helped give birth. There are things that will be relatively easy to fix – reprogramming certain routes, improving security, enforcing the ban on roving vendors and cracking down on the estimated 200,000 riders who use the system every day without paying a fare. But Bogotá is still growing, and TransMilenio will undoubtedly have to grow with it. Part of Peñalosa’s plan for improving mobility in Bogotá involves building or completing planned routes along major thoroughfares like the Avenida Boyacá. Several prominent critics, including outgoing Mayor Gustavo Petro, criticize Peñalosa for prioritizing his pet project over one they say should take precedence: building a metro. The “white whale” of Bogotá public transportation, a metro system has been promised for decades but has never made it out of the concept stage. Former Mayor Samuel Moreno campaigned in 2007 on a promise to build a metro, but his ouster in 2009 over alleged improper public works spending threw the project back off track. Petro managed to push the metro through several engineering studies, a significant step towards making the system a reality. But as his term ended, several key details remained to be decided, such as whether or not the metro should run entirely underground or partially above ground. Peñalosa contends that a partially above-ground system would save time and millions of dollars in construction costs. Improving security will also pose a significant challenge for Peñalosa’s administration. Nearly 40 percent of Bogotá residents were directly or indirectly victims of a crime in the first half of 2015, according to a study released by the Bogotá Chamber of Commerce. More than half of Bogotanos believe that insecurity has increased, according to the same study. The homicide rate has dropped by more than half since Peñalosa’s first term as mayor, but theft has risen considerably over the past few years. In November, Peñalosa proposed a voluntary tax to help pay for security improvements like installing cameras and integrating them into a central system of command and control. “I think that one of the issues for which citizens would be most disposed to pay —even voluntarily — something additional, would be in the area of security,” he said. Former Mayor Ántanas Mockus implemented a similar tax during his administration. El espacio público hoy es desordenado e inseguro, lo que ha llevado a que los centros comerciales sustituyan al espacio público como lugar de encuentro y disfrute ciudadano y se pierda así una función fundamental de la ciudad, como es servir como lugar para la integración de todos. “Public space today is disorganized and unsafe, which has allowed shopping centers to substitute public space as a place to meet and enjoy, and so the city loses one of its fundamental functions,” said Peñalosa on Friday. Since winning the election in October, Peñalosa has gradually announced candidate positions through his Twitter account. According to his administration, he is one of the city’s first mayors to take office with nearly all appointed offices filled. Miguel Uribe Turbay became a member of the Bogotá City Council in 2012, when he was elected at the age of 25. He holds a law degree from the Universidad de los Andes and has continued to study public policy. Mejía heads the Center for Studies on Security and Drugs at the Universidad de los Andes. He has “participated in diverse projects in order to improve security and strengthen the effectiveness of our police and armed forces,” said Peñalosa in a statement regarding his choice for the office. Arbeláez is an economist and the former treasury secretary for the administration of former mayor Samuel Moreno. She also serves as the financial vice president of Bancoldex, a state-owned import-export bank that assists with business creation and development. Bocarejo is a civil engineer and professor at the Universidad de los Andes. He has authored studies focusing on reducing TransMilenio travel times and solving problem areas for traffic congestion. Castillo is the vice minister of water for the Housing Ministry and a lawyer. She has previously worked for the national Attorney General’s office and Interior Ministry. Ortiz is an architect and urbanist who manages the firm Contexto Urbano (Urban Context). This is his first public office. Castro has been an economics editor for Dinero magazine and has worked closely with the insurance industry. Araújo served as the director of Bogotá’s botanical gardens in Peñalosa’s first term as mayor and worked as the minister of foreign relations under the administration of former President Álvaro Uribe. Anguilo is an economist and has worked previously in national planning positions as well as in the Ministry of Development and Education Ministry. Morales is a doctor with advanced degrees in public health and political sciences. He has previously served in the national Ministry of Health. Mayor Peñalosa assumes Colombia’s second-highest elective office a little more than two months after winning the Bogotá mayoral election with 33 percent of the vote. Peñalosa, 61, studied economics and public administration in the United States and France. He has worked as a consultant on mobility and urban planning in more than 150 cities worldwide, according to his official biography.